Hello ladies ( ﾟ▽ﾟ)/ ( ﾟ▽ﾟ)/ ( ﾟ▽ﾟ)/ , I'm going to make another post of false lashes arrangement again, few of my friends really like this kind of post. They've said they don't need to buy an expensive false lashes brand to have a nice false lashes after saw my post. I was so happy, that actually someone find my post was helpful (-^〇^-). 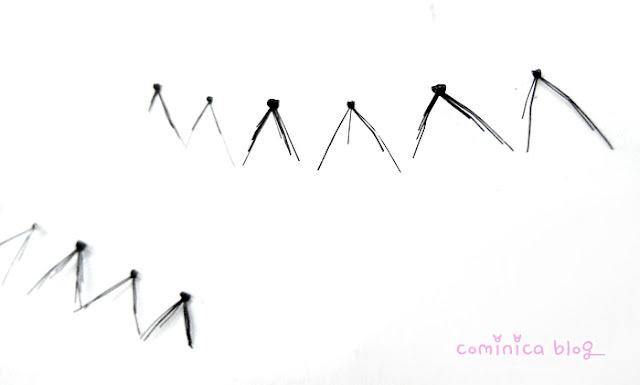 I don't want to become a 'something', but I just love to share it because I really really love false lashes and I hope everyone will love them too. This is the look, the closer zoom to my eye is below. Now, onto the lower lashes, this lower lashes is from Bornprettystore. I really love this lower lashes, is kinda look like Diamond Lash but with different thickness. So, I arrange it like this. Sorry, I've use this lower lashes for 6 times so the shape isn't really good anymore ( ꒪Д꒪)ノ! I need to make a new pair again to replace this pair. I really love this kind of design, more pointy and dramatic on the edge. EOTD, with the upper lashes above. Now, the second lower lashes. 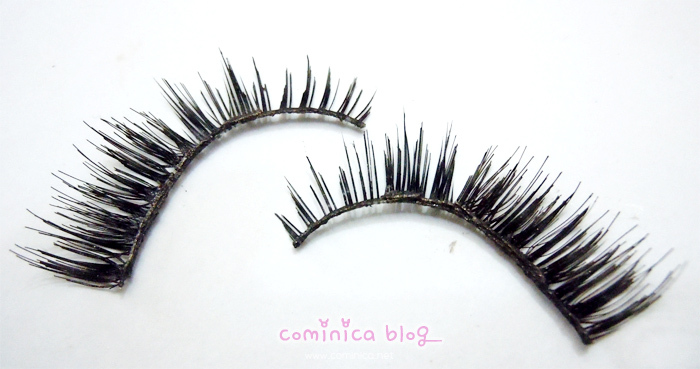 Actually, I've planned to sell this Decorative Lower Lashes few days ago. But, I've change my plan and decided to re-arrange it instead of sell it. 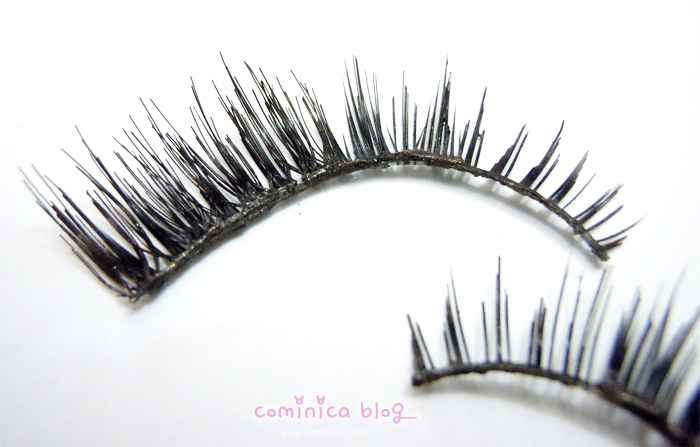 This lower lashes has a criss-cross design and it's not really suit my eye shape ⊙０⊙, that's why I rarely use it. The look on my eyes, sorry no full picture because other pictures looks blur. 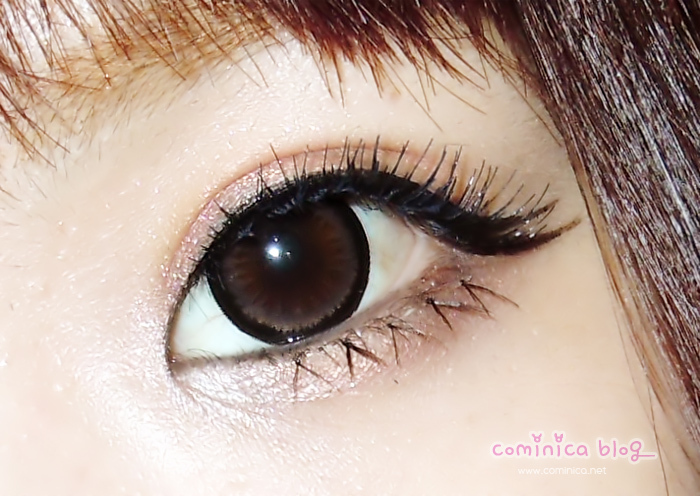 damn (Btw, I was using Princess Mimi Almond Brown circle lens). Do you love this kind of lower lashes? I don't really like it for everyday use （｀ー´）. But, it was really fun to made it!! Lol, and I feel like wasting the Decorative false lashes because the price isn't cheap to play with. I should buy other affordable Taiwan false lashes to play, the quality is quite good and they have a clear band which is more easy to arrange. So, what are you planning for Valentine's Day? I was invited to an event by Lancome, I'm planning to go there next tuesday afternoon and I'll spend Val's Day alone! Yeah, my Bf isn't around atm, he was back to his home in Solo. o(´^｀)o , I hope you'll have a sweet Valentine's Day ladies, Spread the Love and Stay fabulous!! oh wow those lashes are amazing! :D have u tried shimmer twins lashes? just posted abt them! And i like those girls who wear dramatic lashes. So gorgeous! waaaaaaaaaaaaawwwww! you look like tsubasa in this post >__<, the geo bambi in gray suits you very well! Very Pretty :) I really love the upper lashes! OMG the lashes look so amazing on you! I love how it looks so perfect on you! They look amazing! I need to try this soon! ooh i love the sesame grey on you! I agree with Lena! your eyes look really big, pretty! So cute! How did you rearrange the criss cross lashes? Did you cut them into segments or just cut off the extra bits you didn't want?